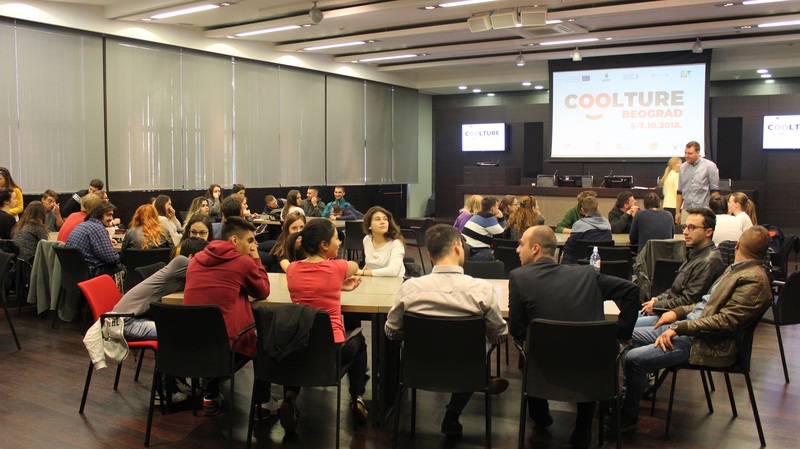 The Municipality of Vračar and NGO BUM have implemented the project COOLture – New Trends, New Stories in cooperation with partners and representatives of civil society from Serbia, Bosnia and Herzegovina, Belgium, Slovenia and Macedonia. This project is realized with the support of the Europe for Citizens Programme of the European Union. 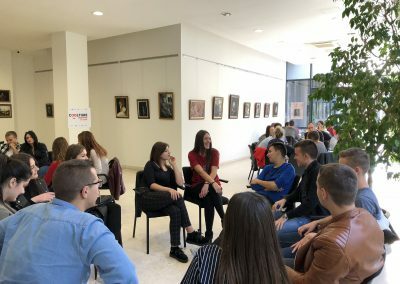 On Saturday, October 6, the opening ceremony of the event was held in the building of the Municipality of Vračar in Belgrade. 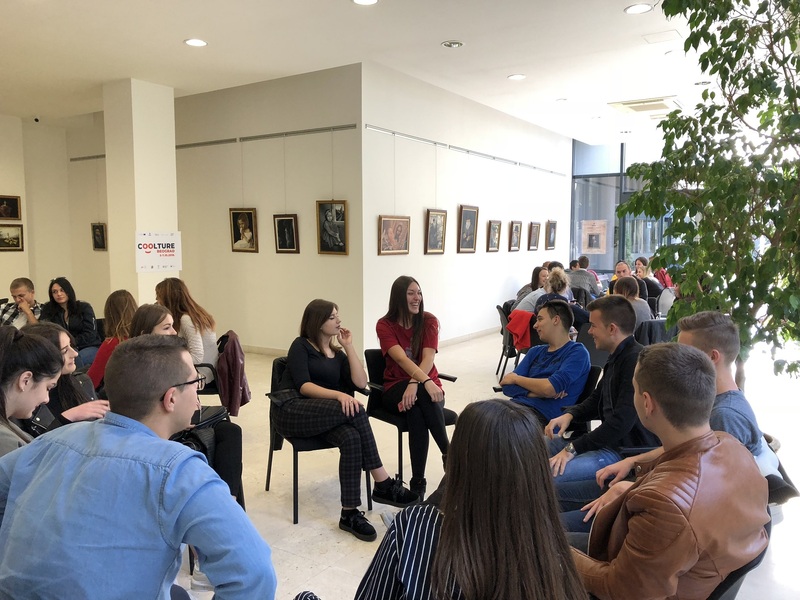 The large number of young people from Serbia, Bosnia and Herzegovina, Macedonia, Slovenia and Belgium have gathered to learn about the importance of art and culture in building trust and cooperation among the people of different religious, cultural and national backgrounds. 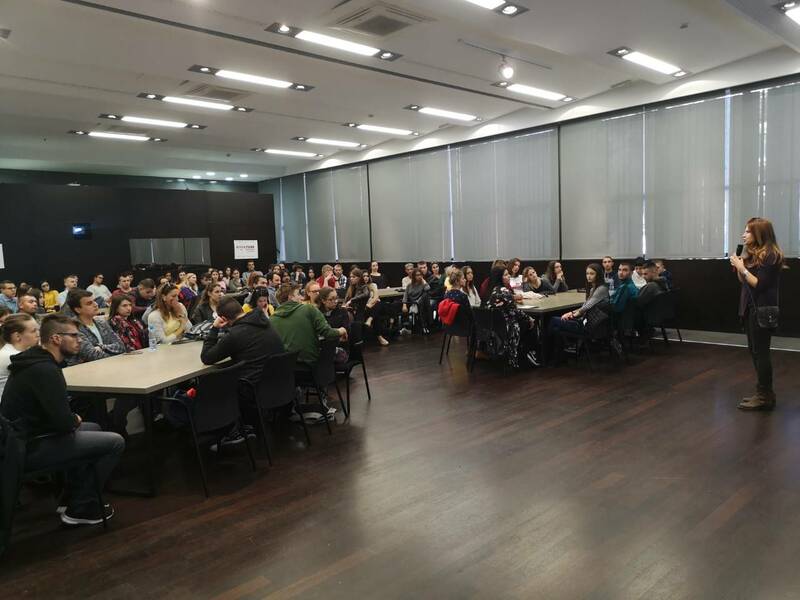 At the beginning of the opening ceremony, numerous guests and media representatives were addressed by Mihailo Grupković, President of the Municipal Assembly of Vračar, who welcomed all of them to Belgrade. He emphasized the enormous importance that cultural exchange and mobility of artists have in the process of reconciliation and empowerment of cooperation among the people of Southeast Europe. 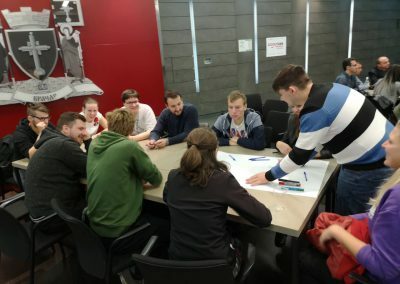 In addition, the mobility of the artists allows them to connect with their colleagues from all over Europe, build co-operation and develop communication channels to make their work more accessible and attractive to young people. 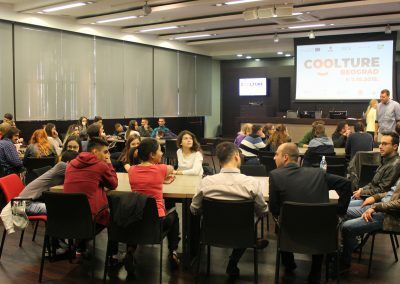 Danijela Maljević, President of the NGO BUM, stated that the main intention of the partners within the COOLture project was to enable young people to get active, learn about different cultures in the framework of the youth exchange process and to find out more about the importance of art in building European citizenship. 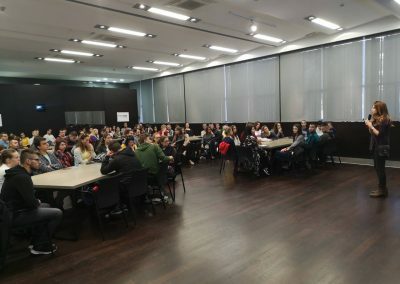 At the end of the opening ceremony Nikola Kolya Božović, visual artist and a member of the steering committee of the October Salon, spoke to the guests. He emphasized the importance of this cultural manifestation for the development of contemporary visual art in Serbia. 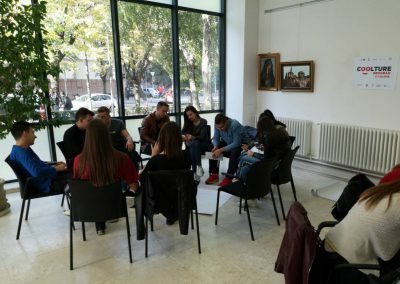 He stated that the only flaw of the October Salon is the fact that it is held only in Belgrade, as the citizens of smaller towns do not have the opportunity to enjoy high-quality art. 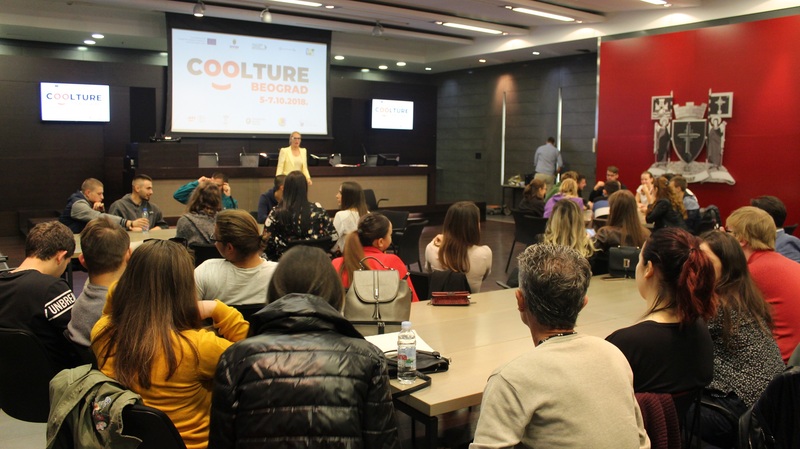 For this reason, projects such as COOLture represent a unique opportunity for young people from all over the Region to visit exhibitions within the October Salon and get familiar with the current trends in contemporary art. 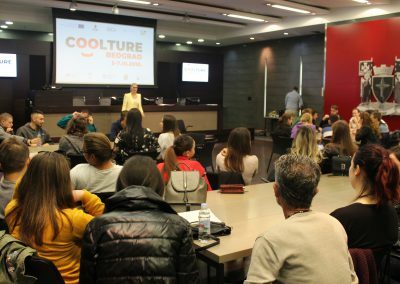 The main goal of the project COOLture – New Trends, New Stories is to increase the accessibility of culture by promoting the mobility of artists and arts in the region of Southeast Europe. We will pay special attention to motivating artists and cultural institutions from our region to use digital communication channels to make their messages more accessible and attractive to young people, who should become their new main audience. Through this project, we want to encourage young people to start visiting cultural events outside their own cities and countries and to see culture as one of the reasons why it is good to meet people belonging to another nation, religion or culture.